Are you looking for the perfect "LOOK"? Or maybe you need a few tips on hair care, fashion, beauty, style or how to manage and maintain the hair style you already have? If so, begin exploring all the fun and news about hair. Choosing the right hair cut is part technique and part art. It is about the basic elements of balance, line and movement. 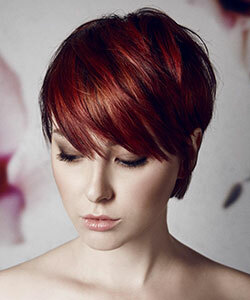 Enhancing your natural shade or choose the right hair color for an exciting new look. Find solution to common hair problems. Discovering the right hair care products will ensure beautiful, healthy hair. Restore your hair and scalp to optimum condition. Styling aids, how-to videos for inspiration and to help you reproduce that "fresh-from-the-salon" look at home like the pros. Your ideal hairstyle is one that makes you feel happy and confident each time you look at yourself in the mirror. 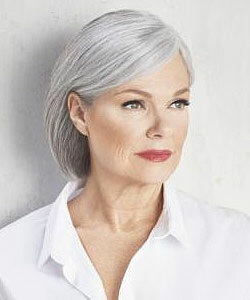 Short hair cuts are timeless; they can boost your confidence and simply make you feel more in control. It's a great option for career women who want to project a strong yet feminine image and spend less time managing their hair. Whether you already have short or medium length hair and are ready for a new look, or you want to dramatically change your current length and style, this site will provide you with enough information to help you find and maintain the perfect style for you.